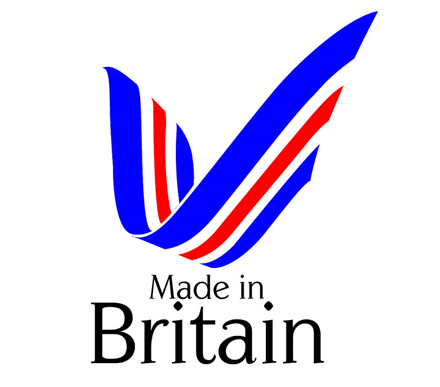 Twistfix directors, Dave Chadwick and Henry Ollis have been granted Patents on their replacement wall ties in the UK, China, and USA. Patents for the innovative remedial wall tie system remain approved but pending grant in Europe and Australia. 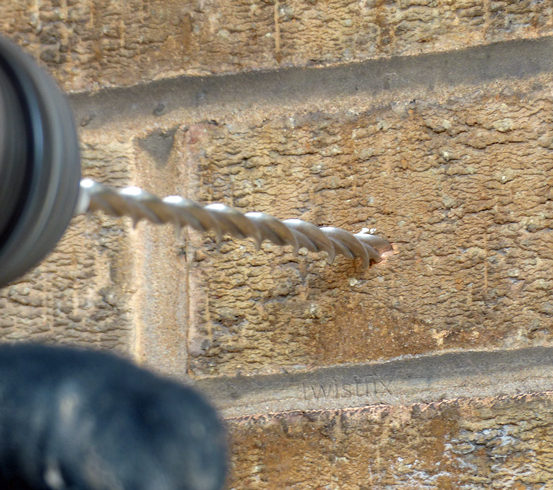 Henry Ollis, who designed and patented the original helical wire fastener, explains that his retrofit wall ties have for the past 25 years been driven with complex and costly telescopic setting tools fitted to a hammer drill. 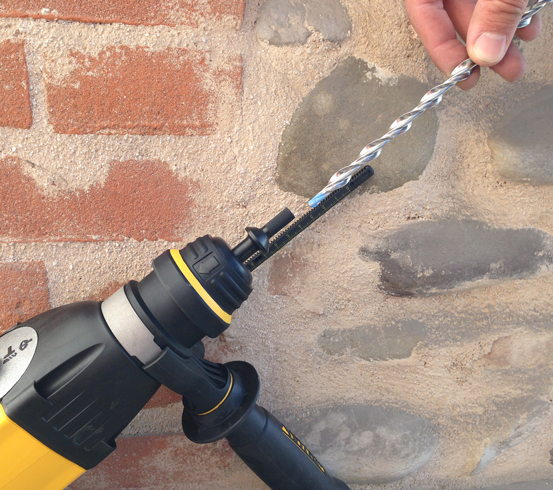 The cumbersome set-up dictated that the operator hold his drill with only one hand, requiring the other to hold the telescopic tool. To reduce risk of wrist or shoulder damage one should always keep both hands on a roto-hammer drill in use. The key to the success of the upgraded replacement wall tie system is the tie/ tool engagement that enables the tie to be driven rapidly, reliably and safely with a short single component tool. Once the tie is recessed beneath the face of the masonry the tool simply slips off the tie, leaving a small hole to make good. The redesigned wall ties were developed and trialled on local authority wall tie replacement projects in London and Manchester. Contractors involved in the trials commented that the ties were the easiest and fastest ties that they had ever installed. Since its launch in the in 2008 the Twistfix remedial tie has become the biggest selling replacement wall tie in the UK. In addition these innovative wall ties are now being exported worldwide, creating a great success story for British design and manufacture. 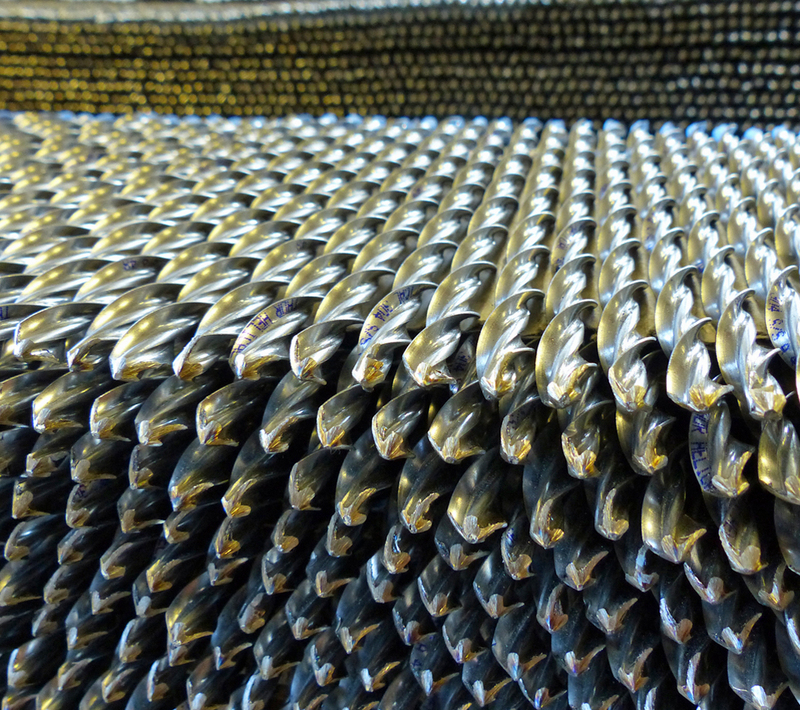 For more information on replacement wall ties please contact us on 0845 123 6006 or email sales@twistfix.co.uk.